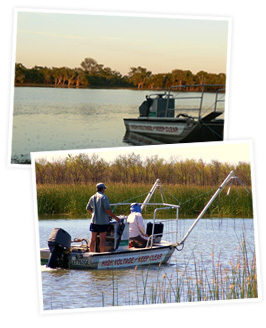 Tropical River Consulting operates the only privately owned electrofishing equipment in Northern Australia. We offer a wide range of fishery services including fish biodiversity assessments, riverine and wetland condition studies, aquatic health surveys including heavy metal analysis of fish, fish stock assessments, fish passage monitoring, pest fish removals and aquaculture harvesting. With 14 years experience operating electrofishers and conducting fish surveys throughout Queensland and New South Wales we can assure an efficient and effective approach to managing your aquatic resources. We also offer our services to the environmental consulting industry. Your business could benefit from collection of freshwater fisheries data to value add to your skills and potentially expand your client base. Like to know more about our services? Contact us for free advice on any natural resource assessment issue.